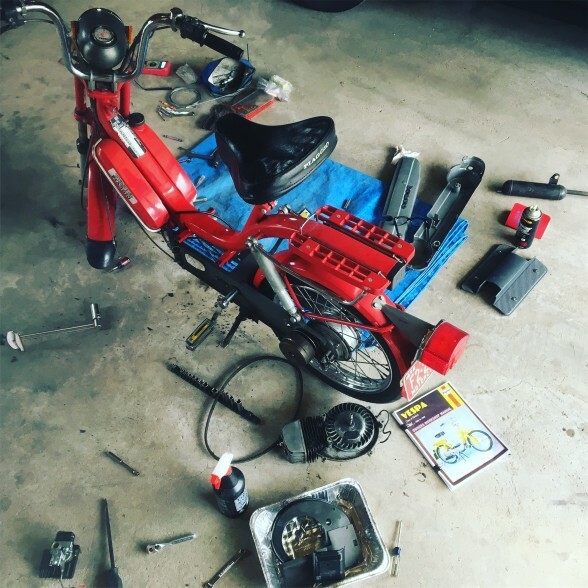 Like all my scooter stories, this one starts in 1984, in Cincinnati, Ohio, when I turned 14. back then, in Ohio, 14-year-olds could legally own and operate a moped. All my friends got mopeds. I didn’t. Turned out we weren’t as upper middle-class as I thought. Or maybe my parents just had common sense. But in any case, i was crushed and vowed that my kids would not suffer the same fate. Of course, my teen moped deprivation (eventually) led to a lasting scooter obsession, starting back in 1995 when I bought my first Vespa and started publishing the 2strokebuzz ‘zine. We went online in 2000, and in 2003, Vina and I had a daughter. Guess what: Our baby is 14 now. 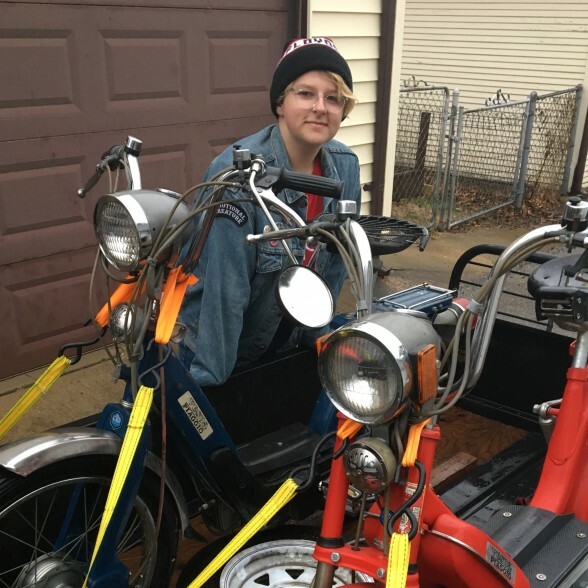 She may not be allowed to legally ride a moped in 2018 Chicago, but that’s not going to stop us. Thanks to our old, dear friend David Lucash in St. Louis, we’ve added two mopeds (Vespas, of course) to the garage menagerie (garagerie?). 1978 Bravo and a 1982 Ciao. Both are in great shape, but not running, so we’re digging into the Bravo first. My experience with bicycles and scooters (and a vague understanding of the CVT) is coming in handy, and as my tab at Treatland adds up, maybe we’ll get one of these things running by the time she turns 16. I really hope I’ll see all you 2sb readers soon, at PVSC, Slaughterhouse*, and whatever other rallies and rides I can make it to this year. *Slaughterhouse details coming soon, I swear. The gang’s come up with some new ideas this year that’ll make it special.